Christies Care arranges home care for all sorts of people. 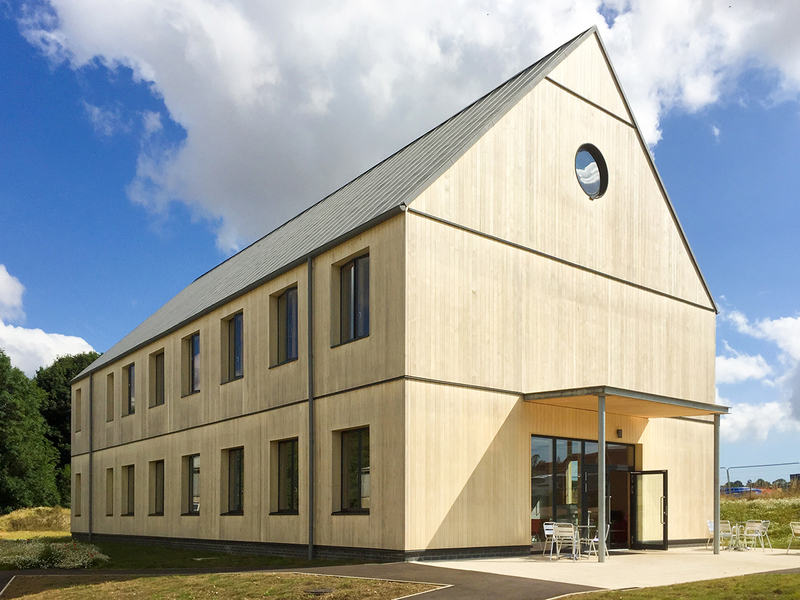 The architects brief was to provide a new office building to house about 60 people, next to their existing buildings on the edge of Saxmundham. The entire superstructure of the building is of cross-laminated timber (CLT) which was erected in three weeks. 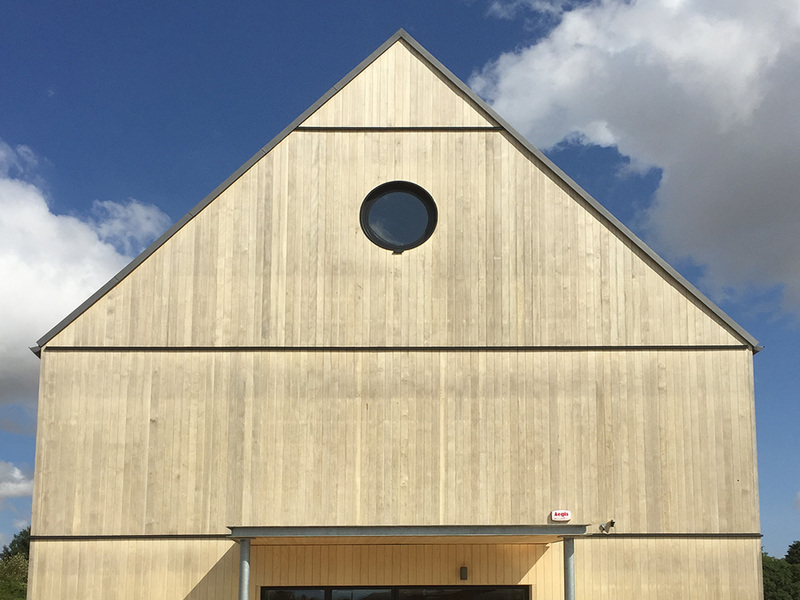 The CLT is generally visible internally and the surface was given a dilute white spray, to reduce the effect of darkening. The external wall cladding is of vertical Accoya tongued-and-grooved strips. The roof cladding is of pre-patinated zinc. The building was the winner of the Large New Building Award at the Suffolk Association of Architects Awards 2017 and is a finalist at the 2017 East Anglia LABC Building Excellence Awards. © Accsys Technologies. Accsys Technologies is a trading name of Titan Wood Limited. ACCOYA® and the Trimarque. Device are registered trademarks owned by Titan Wood Limited and may not be used or reproduced without written permission.